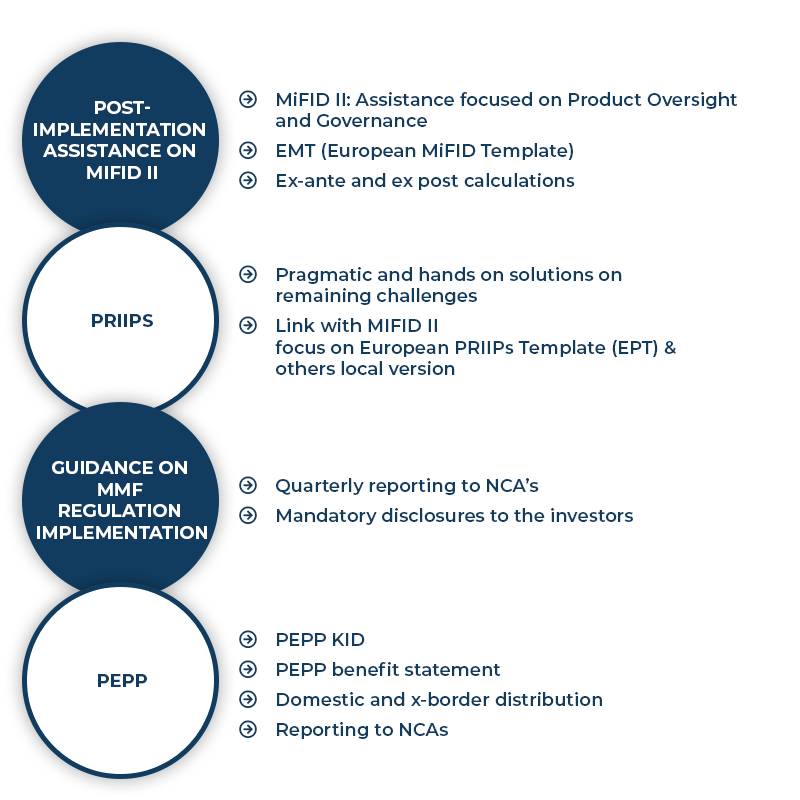 Applying our “Regulatory Maintenance Matrix” we scrutinize changes occurring within the regulatory environment and deliver summaries of changes, impact analysis on the client’s value chain as well as the official related supporting documents. These “Regulatory Notices” are issued at least once per day and are distributed to clients via email and our online platform. 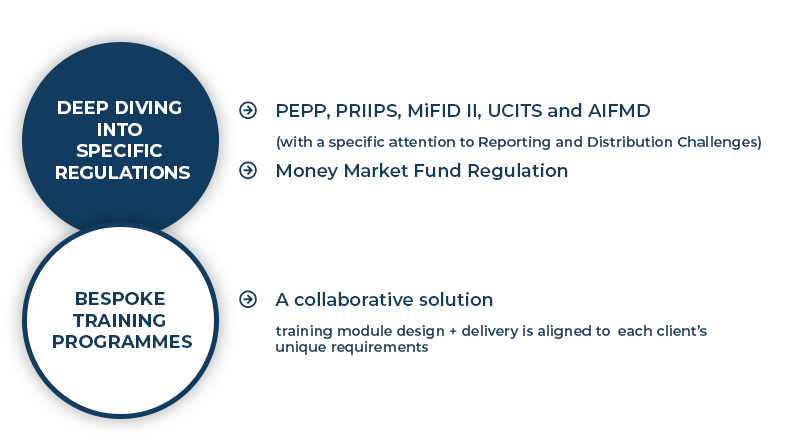 This subscription also offers access to the entire global network of capital market national competent authorities and can be supported by our hotline service to address punctual issues. 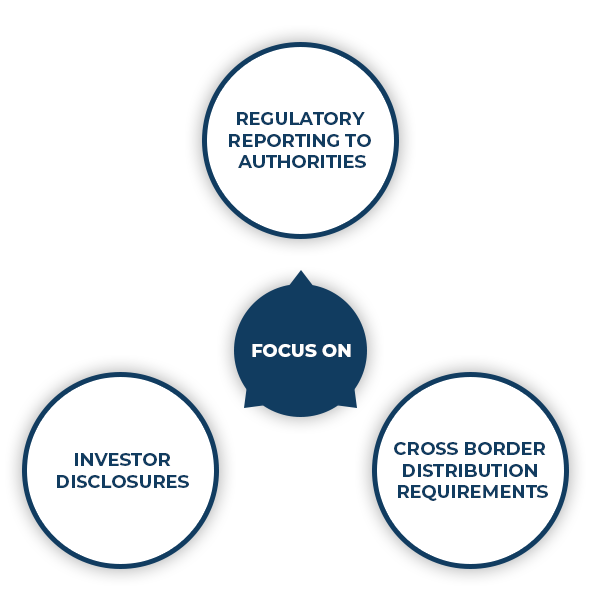 We offer tailor-made responses to all kinds of regulatory challenges impacting the asset management and life insurance sectors. These responses are delivered in the form of Q&As, specific impact assessment studies, regulatory analyses or marketing materials reviews. We provide a range of off-the-shelf and bespoke training modules where content is tailored to the level of expertise of each audience. Since our launch in 2017 we have successfully delivered modules to product development, internal operations and business development teams across various organisations. Training modules are delivered on-site or via our on-line platform.